Example 10 Find an irrational number between 1/7 and 2/7. 1/7 = 0. (142857) ̅. 2/7 = 0. (285714) ̅. 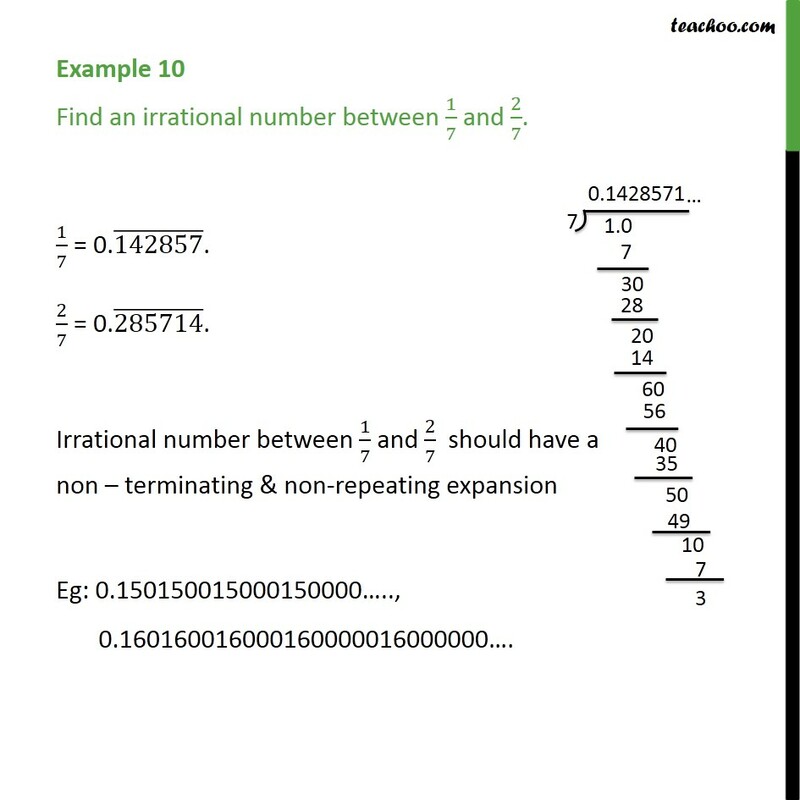 Irrational number between 1/7 and 2/7 should have a non – terminating & non-repeating expansion Eg: 0.150150015000150000….., 0.160160016000160000016000000….